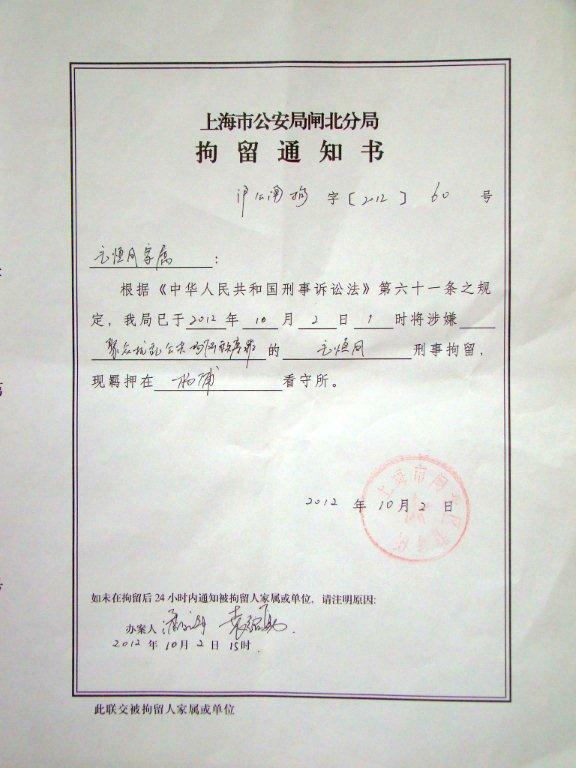 On September 30, 2012, Shanghainese rights defender and petitioner Mao Hengfeng (毛恒凤) was intercepted and returned to Shanghai. She was subsequently criminally detained on suspicion of "gathering a crowd to disturb public order." She is currently held at the Yangpu District Detention Center.